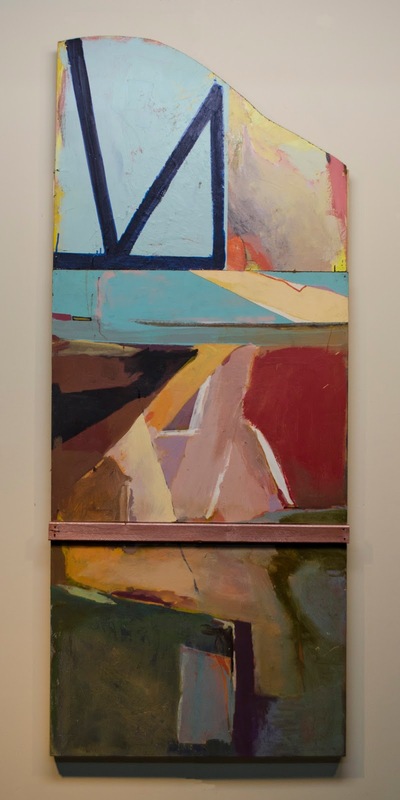 Bryan Hammond returns to the county with a new collection of works. Accompanied by artistic partner, Joshua Blue, the show will highlight recent works, which highlights their view of tangible versus digital. Bryan grew up in Amador County and was a graduate of Amador High School. Training under Howard Rees and Rand Hugget led to a continued study of fine art at the University of North Carolina Charlotte. 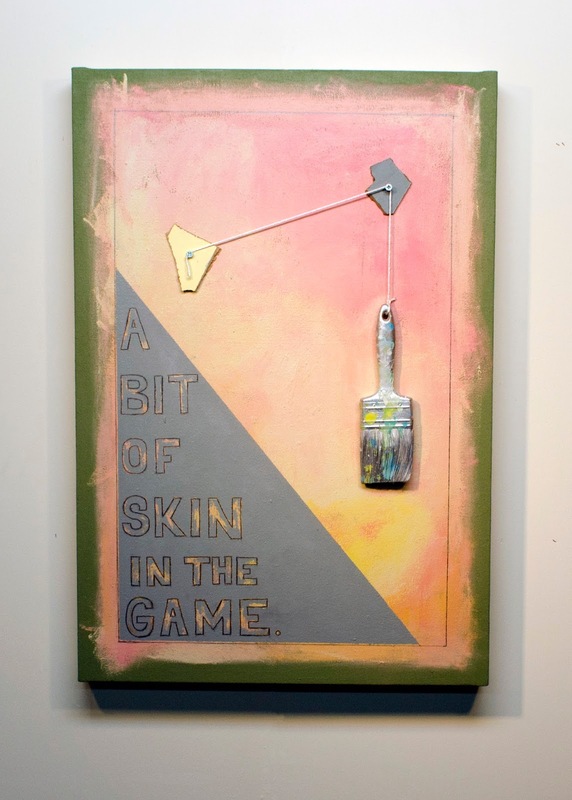 Joshua and Bryan first met during their tenure at the college and began to promote work around the city in gallery’s and their own grass roots shows. 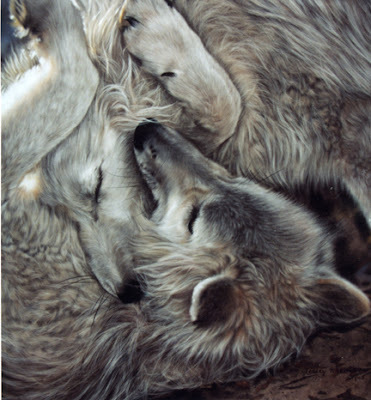 Joshua and Bryan now live and create their works in Portland, Oregon. There is a balance of conceptual and traditional technique, which has developed into a collection of abstract images and pieces. The use of texture, object and medium are interchanged to accomplish works, which comment on their view of our current environment and experience. These often directly focus on the response to the digital world that we all are enveloped within. 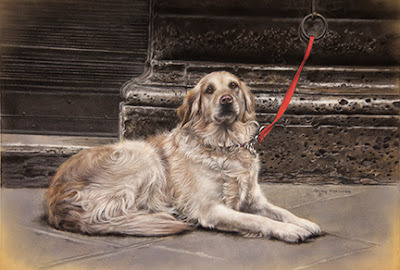 The show opens with a reception on Saturday, July 2 at Gallery 10 on Eureka St. in Sutter Creek. 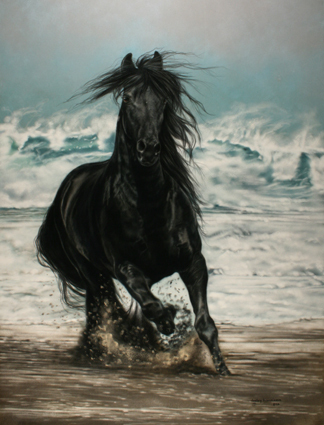 Lesley Harrison will be demonstrating at the Wednesday, July 13 meeting of the Amador County Artists Association, commencing at 7 p.m. in the Jackson Senior Center, 229 New York Ranch Road. 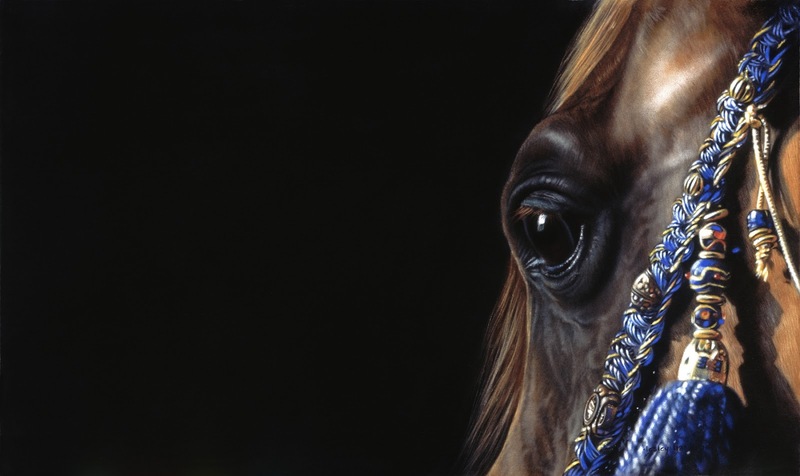 Harrison works in pastels and has combined her love of animals with painting to produce a series of remarkable animal portraits. An affinity for the animals that she paints and a strong command of her medium allow her to capture the spirit of each animal and to convey to the viewer its individuality, grace and strength. She is a member of the Pastel Society of the West Coast and the Pastel Society of America. Wire jewelry artist and teacher Karen Crane demonstrated her wire-wrap techniques at the June 8 meeting of the Amador County Artists Association. These techniques can be used to create pendants and earrings as well as room and porch hangers. Karen began by discussing types of wires that can be used, helpful tools, where to get supplies, and how she begins a project. For the demonstration, Karen used larger stones that were easier for the audience to see as she progressed. She explained and demonstrated the differences between using various strands of wire and how to add to the initial stone. Karen periodically conducts classes in wire wrapping stones and can be contacted through her Facebook page. This page also contains numerous photos of jewelry and other items she has created for sale. Wire jewelry artist Karen Crane will demonstrate free-form, wire-wrap techniques at the June 8 meeting of the Amador County Artists Association. Crane starts projects with some basic, simple techniques and will demonstrate several as she creates a hanging project. She uses techniques that she has developed over the past 15 years. 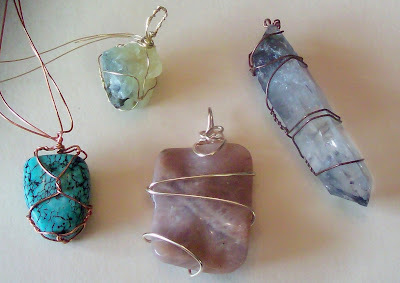 These techniques can be the basis of pendants and earrings, but they are also used to wrap stones, shells and beach glass to make room and porch hangers. Many examples of different applications of these techniques will be available for study and inspiration. As she works, Crane will talk about how to select appropriate materials, what kinds of wire to use and how to solve creative challenges. Crane teaches wire-wrap classes locally and sells her work at the AmadorArts Gallery in Sutter Creek and on Facebook. The attached images show the types of pendants and hangers she produces. The ACAA meets the second Wednesday at 7 p.m. at the Jackson Senior Center, 229 New York Ranch Road. The public is invited and new members encouraged. 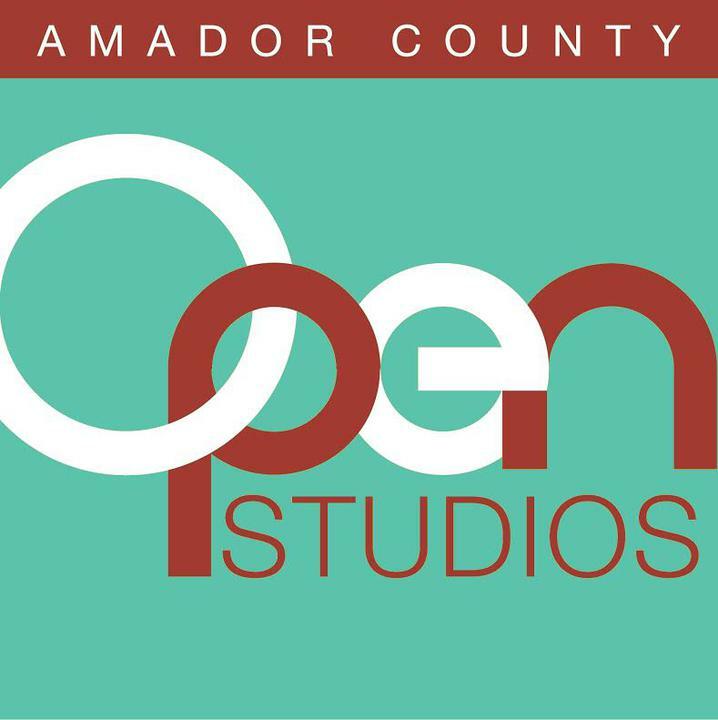 For more information about ACAA, visit amadorcountyartists.org.